. 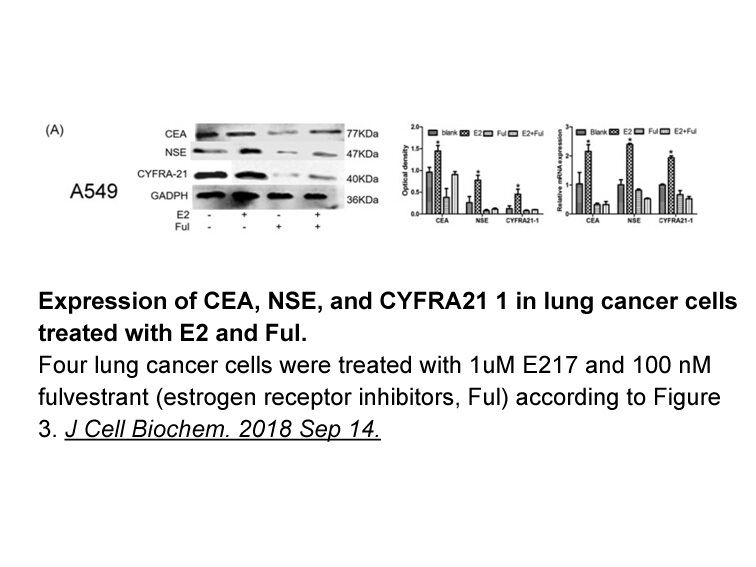 Dolfi SC1, Jger AV2, Medina DJ1, Haffty BG3, Yang JM4, Hirshfield KM5.Fulvestrant treatment alters MDM2 protein turnover and sensitivity of human breast carcinoma cells to chemotherapeutic drugs. Cancer Lett. 2014 Apr 18. pii: S0304-3835(14)00215-8.
. Wakeling A E, Dukes M, Bowler J. 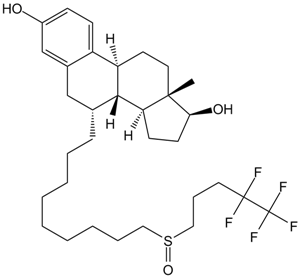 A potent specific pure antiestrogen with clinical potential[J]. Cancer research, 1991, 51(15): 3867-3873.
. Howell A, Robertson J F R, Quaresma Albano J, et al. 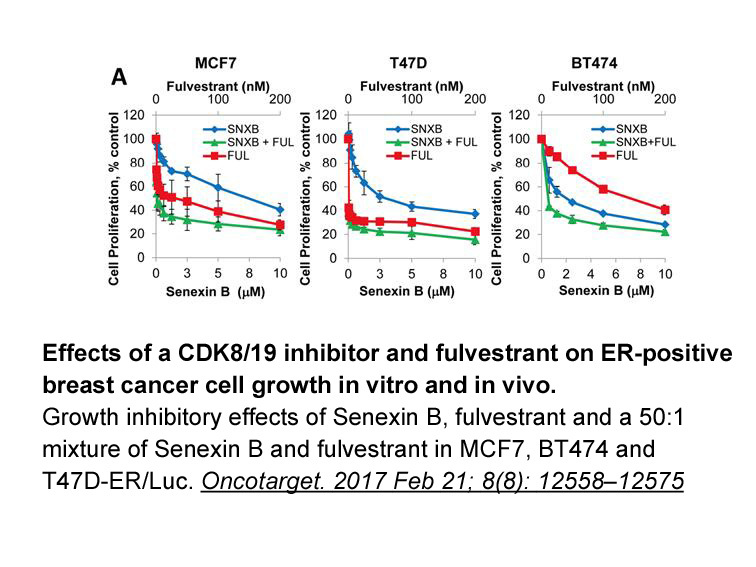 Fulvestrant, formerly ICI 182,780, is as effective as anastrozole in postmenopausal women with advanced breast cancer progressing after prior endocrine treatment[J]. 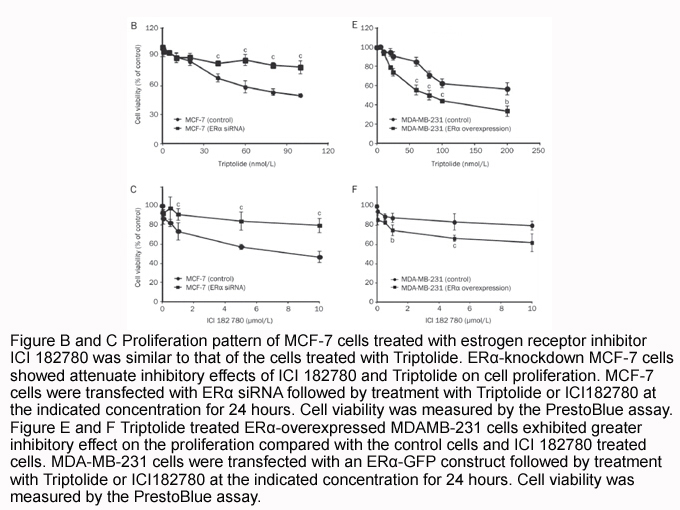 Journal of Clinical Oncology, 2002, 20(16): 3396-3403.
. Dolfi SC1,Jger AV2,Medina DJ1,Haffty BG3,Yang JM4,Hirshfield KM5.Fulvestrant treatment alters MDM2 protein turnover and sensitivity of human breast carcinoma cells to chemotherapeutic drugs. Cancer Lett.2014 Apr 18. pii: S0304-3835(14)00215-8.